Professor Dr. Gowher Rizvi is a Bangladeshi historian, scholar and academic. Currently he is the International Affairs adviser to the prime minister of Bangladesh and the Unit Chief of the GIU. Professor Rizvi was the first person to materialise idea of establishing a think tank body within the government, such as the GIU. 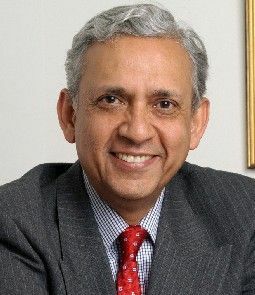 Professor Rizvi taught at several British and American universities, including Oxford University, the University of Warwick, Harvard Kennedy School and the University of Virginia. His publications cover the disciplines of history, international relations, and public policy. It is because of his knowledge and experience on governance, innovation and public sector reforms, the leadership of GIU has been assigned to him.